Topic : Anticipation – The Future Causes the Present. In a world in which complexity is the norm and change is both uncertain and sudden, the comfort of planning is delusional. This state has led to a significant rise in interest in new ways to think about uncertainty and to be active in reducing the risks associated with uncertainty. One emerging topic in academia is a return to appreciating anticipation; a topic that over the last 20 years has been largely ignored. However, rather than anticipation being either a trope or confined to rarefied academic niches, it is emerging as a multi-disciplinary phenomenon. Anticipation Studies seeks to understand the role of anticipation from the perspective of many different disciplines, from mathematics to art. The purpose of this short presentation is to offer some key ideas from current work in anticipation, demonstrating how this is adding to our knowledge of how to think about the future and our relationships with the futures. From a professional practice perspective, it introduces a possible new mode of problem framing, in particular the problems of uncertainty management in a deeply uncertain world using current methods based on assumed certainty. 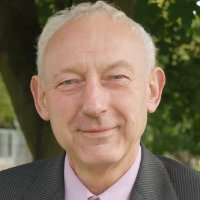 Ted Fuller is Professor of Entrepreneurship and strategic foresight at the University of Lincoln, UK. 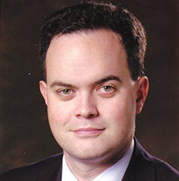 His leadership roles at Lincoln have included Head of the Business School and Faculty Research Director. He is Chair of the Responsible Management Research Network. His career includes two new venture start-ups and founding two research centres at the University of Durham Business School. His research interest is the ways that responsible futures are created, including projects on rural technologies, corporate governance, Chinese women entrepreneurs and anticipatory health and safety regimes. Ted is a member of the organising committee of the International Conference on Anticipation and Editor-in-Chief of Futures Journal, which celebrates its 50th anniversary in 2018. 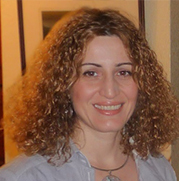 Speaker : Dr. Meri Duryan – Research Fellow UCL. The focus of this presentation is the findings from a 2-year action research programme that investigated the process of cultivation of communities of practice (CoP) to enhance learning at a programme level a hierarchical bureaucracy that manages large infrastructure programmes and projects. The aim of the study was to contribute to our understanding of knowledge transfer in a project-based organisation. In so doing, the role of CoPs in Network Rail and the importance of senior level sponsorship were examined. Hierarchical bureaucracies create silos with their attendant silo mentalities that result in employees’ willingness to protect own knowledge that is considered as competitive advantage, internal politics and scarce dialogue between the functional units. During the last decade, Network Rail pioneered several knowledge management initiatives, yet failed to gain traction to overhaul its existing processes. management practices. The pilot commercial CoP, cultivated in the frame of this programme, has achieved outstanding success since its start-up and proved that CoPs can co-exist with administrative hierarchy, facilitate a risk-free learning environment and even escape the rules when necessary. The involvement of senior management in CoP cultivation reinforced the community’s contribution to strategic value creation. 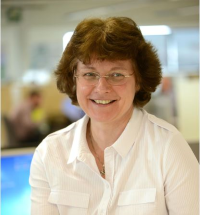 Dr. Meri Duryan is a Research Fellow and ‘Change Management in Projects’ and ‘Knowledge Management in Project Environments’ MSc Modules’ leader at the Bartlett School of Construction and Project Management, UCL. Knowledge and change management, value co-creation and systems thinking are the areas of research focus. She is a certified change management practitioner with about 18 years of experience in delivering change/knowledge projects across different industries including IT, Healthcare, Transportation and Education. She has publications on systems thinking approaches for stakeholders’ involvement in decision making. Tim Griggs, Product Manager at Artemis International. 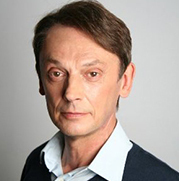 Tim has over twenty five years at Artemis in various roles including consultancy, support and product management. Joe has had forty plus years of program management and diversified finance experience for various size companies and United States government agencies. Much of Joe’s experience, 32 years, was working with Lockheed Martin (LM) in multiple roles as a Program Manager, Manager of Program Controls, Manager of Planning and Scheduling, Master Planner and Cost Analyst. Joe led the transition of all LM IS&GS programs valued over $20B from an old mainframe Earned Value Management System and various schedule tools to an integrated cost and schedule system in under a year. He supported all LM divisions and their largest programs in preparation of compliant DCMA surveillances or recertifications. Joe received several corporate, divisional and government awards while at Lockheed. As a member of the National Defense Industrial Association Integrated Program Management Division he participates in multiple working groups. 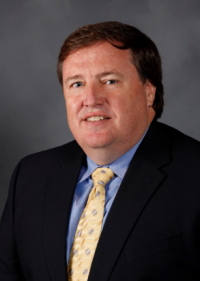 He was a key contributor in the approval of the Planning and Scheduling Excellence Guide and An Industry Practice Guide for Agile on Earned Value Management Programs. Joe has presented at various EV and PMI conferences on topics such as Integrated Program Management, Baseline Change and Surveillance processes. Joe enjoys spending time with his wife, four children and four grandchildren and planning trips especially to Walt Disney World. Topic : What happens when the Risk Manager goes on holiday? Risk Management is how we proactively manage the uncertain events we encounter whilst working to achieve the objectives.In a nutshell, it is about doing everything practically/economically possible to avoid the pitfalls exploit the opportunities.Anticipating then acting is key to the success of Risk Management, but experience tells us that sometimes the vary act of trying to handle risk can introduce a whole bunch of different risks, or in some cases, actually make it the risk you are trying to avoid more likely to happen.These types of risk can be much harder to anticipate thus manage.What happens when the Risk Manager goes on holiday’ will explore some real-life experiences of this phenomenon the lessons that can be learned. Roles in various business areas as Head of PMO have provided various challenges including technical, size of organisations and transnational team leadership. In addition, the overall co-ordination of resources in the UK across several business organisations developed diplomacy and indirect management skills. Topic : Ready for anything and future proofed. Would your business do better if people were enthusiastic to learn and try new things, if change was simply another challenge to tackle, not an insurmountable obstacle? In today’s fast-moving world, organisations that can’t keep up with the pace of change are doomed. You need people to run with change, adopt and embed it. People prepared for anything that lies ahead. It’s not a pipe dream, it’s a case of creating a learning culture, helping people develop a “growth mindset”. 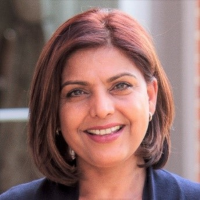 Ranjit Sidhu explains how you can develop this growth mindset open to new ideas and learning, replacing fixed mindsets that get stuck in ‘can’t do it’ mode. A growth mindset helps people anticipate, be resilient and resourceful. You’ll learn some invaluable practical ways to weave change into the fabric of the business, so that everyone can adapt, grow and thrive. Because stronger people make a stronger organisation. John A. Sweeney is an award-winning author, designer, and futurist. 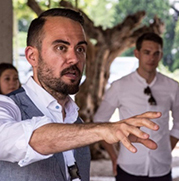 As a practitioner, consultant, and educator, John has organized, managed, and facilitated workshops and seminars, multi-stakeholder projects, and foresight gaming systems in over 30 countries. John has worked with numerous universities, international development and humanitarian aid agencies, nonprofit foundations, Fortune 500 companies, and educational and cultural organizations, such Duke Corporate Education, The Joint Research Centre of the European Commission, the International Federation of Red Cross and Red Crescent Societies, UNICEF, UNESCO, and UNDP’s Global Center for Public Service Excellence. 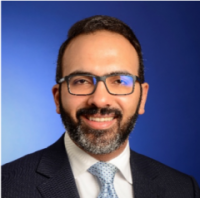 Additionally, he has experience working with public sector and civil service foresight and innovation units, such as Singapore’s Centre for Strategic Futures, Georgia’s Public Service Development Agency, and Dubai’s Mohammed Bin Rashid Centre for Government Innovation. At present, John is a PhD Candidate in the Department of Political Science at the University of Hawaii at Mānoa (UHM) where he has instructed undergraduate courses in Futures Studies, Political Science, and World Religions. John served as a Researcher at the Hawaii Research Center for Futures Studies under the direction of Jim Dator until his retirement in 2015. From 2014 to 2018, John served as Deputy Director at the Centre for Postnormal Policy and Futures Studies. John is a member of the World Futures Studies Federation, the World Future Society, and the Association of Professional Futurists. His work has been published in Futures, The Journal of Futures Studies, Ctheory, Continent, and other academic and media outlets. He tweets on trends, emerging issues, and things just over the horizon at @aloha_futures. 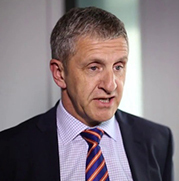 Speaker : Shane Forth – PMO Director, Costain. With an end focus on the importance of the construction phase that typically represents 35% – 45% of the total installed cost of complex projects, this talk will look at what the research and analysis from published material, professional bodies and case studies tells us about cost estimating, how the behavioural and technical aspects influence the outcome and offer advice in the deployment of solutions that will benefit the stakeholders and participants involved in the process. Shane Forth is director of PMO for Costain. His current role involves integrating technology, processes & people capability for complex project delivery and consultancy. 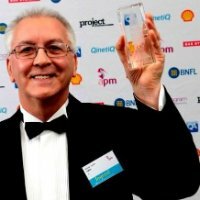 A Fellow of both APM and ACostE and an MSP Registered Practitioner, Shane has 42 years’ experience in Oil & Gas, Nuclear and Power & Process industries and is recognised externally by customers, peers and professional bodies as a project controls expert, sitting on national professional, technical and academic working groups. 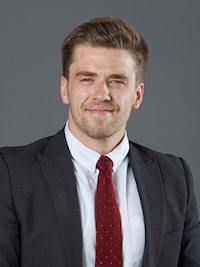 He has an MSc in Project Management awarded in 2013 from University of Manchester, and won the Stephen Wearne award for best overall performance followed by national acclaim, winning the APM Geoffrey Trimble award for best Master’s post-graduate dissertation. 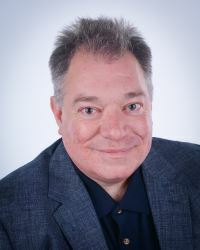 For the last 26 years, Shane has provided strategic and functional leadership in Project Management and Controls as a member of senior leadership teams at global and divisional levels including responsibility for the development and continuous improvement of project management assurance and project controls processes and systems. In the development of project controls people resource and competency to meet business needs, Shane has specified and delivered training through company Project Management Academies and been a driving force in the implementation of national project controls apprenticeship and graduate programmes, for which he has been honoured twice by the ECITB including winner of a national award for individual leadership and significant contribution to training and development. Shane is currently Chair of the employer-led group developing the Project Controls Technician Trailblazer apprenticeship programme. The difficulties in managing complex projects / programmes can be compounded if key information is not made available to the appropriate audience concisely, accurately and regularly. Nevertheless, organisations still fail to put emphasis on their management information systems which over time store vast amounts of data, some of which is essential to analyse the full picture and decipher headline news. If your project controls systems and processes are not managed centrally, lack clarity and/or are not aligned to business changes, simple tasks are likely to be more frustrating and cumbersome. As a result of lower productivity and silo working, project controls quickly escalates to project chaos creating difficulty in filtering out both good and poor performance of key projects across a portfolio. By decluttering your databases and reassessing mandatory processes, efficiencies can be created immediately. This presentation provides practical advice from an experienced End User, Business Application Owner and System Administrator / Manager that has helped to transform Planning function, as part of a wider PMO, for numerous clients. Topic : Know the rules to break the rules. Expert in Projects, Programmes, Risk, Communications, Crisis. Stephen is an unusual blend of Academic, Businessman and Teller of Tales. He has taught in UK, US Europe, Japan, Taiwan, UAE, Saudi Arabia, Singapore, Hong Kong and Australia and has appeared on National Radio and TV. Topic : Gaining Insight from the Government Portfolio. 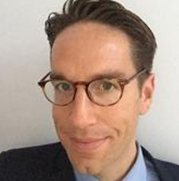 Tom Tolfree is the IPA’s Chief Analyst and Chief Economist and heads the IPA’s central analytical team. Tom leads the analytical support function across the IPA and his team overseas the Government’s Major Project Portfolio (GMPP) database. 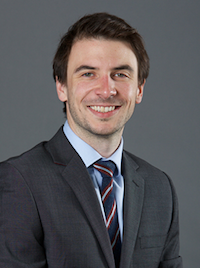 Tom was formerly a Senior Government Economist and DCLG’s Chief Implementation Analyst, where he led a team of government analysts responding to ministerial priorities around the implementation of housing, planning, devolution and local economic growth policies. Tom joined government after working as an economist in the private sector with DTZ Economic Consulting. He is a Policy Fellow of Cambridge University, a Fellow of the Westminster Abbey Institute and holds a first class degree in Business Economics. I’m a results oriented Executive with more than twenty years experience in startup and early stage as well as turnaround of companies. I specialize in exploring and capturing new markets and new customers, by finding the unique value and helping companies build and enhance their business based on this. I help the companies focus and build great process and hire great teams. Responsible for the implementation of an integrated project controls system across the UK Defence Equipment & Support organisation. Working in partnership with the other 10 DE&S functional leads and the project control domain leads in air, maritime, land and joint. Daniel is a Senior Consultant with BMT specialising in delivering P3 Management and Controls expertise to Government, Defence and Energy sectors. 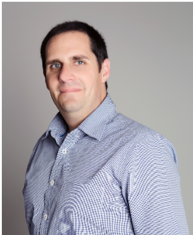 Daniel is a Chartered Engineer with a background in Aerospace Engineering and over a decade of experience working in the Defence Industry, giving him a unique insight into the challenges surrounding creating the environment where non-project controllers can deliver projects effectively. Steve has more than six years experience delivering P3 Management and Controls across the Medical, Aerospace, Defence and Justice industries. As a Consultant with BMT Steve has supported the transformation and creation of Project Control Teams and Programme Management Offices, enabling a deep understanding of how to integrate a successful Project Controls framework in both Public and Private sectors. After graduating from Oxford and the University of Tübingen, West Germany, Stephen worked for The Boston Consulting Group for a total of seventeen years before subsequently joining the Ashridge Strategic Management Centre in 2001. 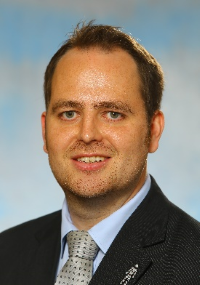 He teaches on executive programmes at several business schools, including Ashridge, and is a regular guest speaker at the Royal College of Defence Studies in London. 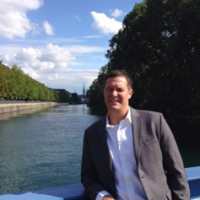 He also works as an independent consultant and conference speaker. His first book on military history, The Most Dangerous Enemy – A History of the Battle of Britain, published in 2000, has now become the standard work on the subject. A second work, Alamein, appeared in 2002. His book about strategy execution, The Art of Action – How Leaders Close the Gaps between Plans, Actions and Results appeared in 2011. Some of its key concepts being applied in companies ranging from Shell to the Mercedes Formula 1 team and have featured in international conferences. In 2004 he appeared as principle historian in the Channel 4 series ‘Spitfire Ace’ and has continued to contribute to a range of television programmes since then. His current work is focussed on the most effective ways of developing strategy in an environment of high uncertainty. Sarah Mallock is a Project Manager for a Design Consultancy and a superb electric violinist who has played with the likes of Adele, Brian Ferry, George Michael, Harry Connick Jr, Jay-z & Beyoncé, Madonna, Rod Stewart, the Sugarbabes and Rihanna. During a patrol in 2009, Simon activated an IED, which resulted in his right leg being blown off and his left leg amputated. Following five years of intensive surgery and rehabilitation Simon has shown true resilience and perseverance to successfully rebuild his life. Simon is now a regular inspirational speaker, he’s delivered a TED talk to thousands and raised over one million pounds for charity. 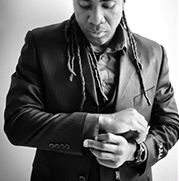 Simon helps individuals and companies realize what is possible given the right mind set, desire to inspire and willingness to achieve. The Drive Project is an award-winning creative social enterprise. They work alongside charities and businesses to inspire and empower people with creative projects, training and talks. The Drive Project make arts projects that build communities. For charities, they produce award-winning creative projects that support individuals and reach a huge public audience, and for businesses they deliver transformative training and talks built to inspire, empower and motivate. The Drive Project are delighted to have their wonderful and experienced keynote speaker from Blown Away- Simon Harmer speaking today. Mike Everest is a professional historical interpreter covering Ancient Greece to the more modern conflicts, affectionately termed as Plato to NATO. Mike has been working in education bringing history to life to all ages for 16 years and professionally for 5. With a keen eye for detail of the common soldier from across history, Mikes use of old stories, and original artefacts help to conjure an image of the past to take us just one step closer to our forebears. Crispin Piney (known as “Kik”) has been involved in the project world since joining the IT Group at CERN, the European Laboratory for Particle Physics, in 1970. He later moved to the Digital Equipment Corporation (DEC), and left in 2000 to work as an independent trainer and consultant. He is author of the book Earned Benefit Program Management, published by CRC Press in October 2017. Project professionals and Earned Value practitioners in particular realise the great value that the right indicator and approach could add to managing a project. But have we become too focused on our project management terminology and goals that other in the organization are finding it hard to relate? We’ve all had the experience of sitting down with a finance analyst and try to explain our indicators again and again. PVaR™ is an extension to the VaR (Value at Risk) indicator, widely used in finances. PVaR™ answers some of the most significant questions in project management by using only 3 well know and widely accepted figures: confidence level, project phase and money or schedule. It’s a fresh way of thinking beyond the project barriers to allow a data oriented fruitful conversation between project professionals and others. 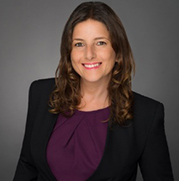 Nicki is an experienced professional working as a global risk and EVM expert and researcher, improving decision and risk identification skills by using processes, data and cognitive skills. She is the author of: PVaR ™: Project Value at Risk- a new way to connect risks to business outcomes and writes and speaks about project management and risks. Experienced with the High-Tec, Energy and Water, IT, Defense and consulting industries, Nicki believes in incorporating quantitative and qualitative analysis to achieve the best possible outcomes in decision-making. She is known for her inspirational risk concepts and processes which incorporate aspects from finance, business, engineering, IT and international relations into powerful project management excellence. Shai is an academic leader in Strategic Planning, Strategic Risk Management and Project Management. 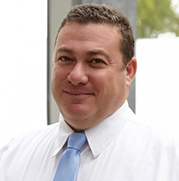 He holds a Bachelor of Science (BSc) degree in Agricultural Economics & Management from the Hebrew University (1997) and is a graduate of the Edinburgh Business School MBA at Heriot-Watt University (2006). For his PhD studies in EBS, he researches sustainability-oriented strategy and innovation. Shai has an extensive direct practical experience of strategy, operations and risk management, having worked as a senior programme manager, technical director and account manager in a range of capacities and for a number of different employers in the private sector. 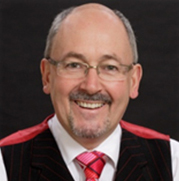 He owned a professional consulting firm that assisted organisations to improve their business results by strategically plan and implement project, programme and portfolio management culture, processes, tools and techniques. His clients ranged from private start-ups companies to public national authorities. He is a member of professional associations and served as committee and board member in several organisations and NGO’s. 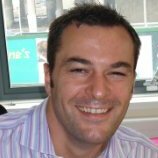 Lee is an Operations Director for Mace in Project Controls working with MoJ to deliver the Prison Estate Transformation Programme (PETP). PETP will transform custodial establishments using collaborative and industry-changing Design and Construction projects to change the lives of prisoners; staff; and all those who come into contact with the Prison Estate. Lee will present how the Project is delivering against these objectives.